While tidying out the YAC website attic we came across an old trunk labelled "Will Smith: his blog". 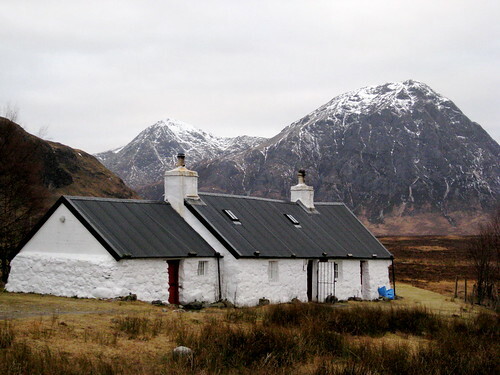 The trunk contained a crumbling manuscript referring to a legendary 45 metre turf route at the winter climbing mecca of Cringle Crag. 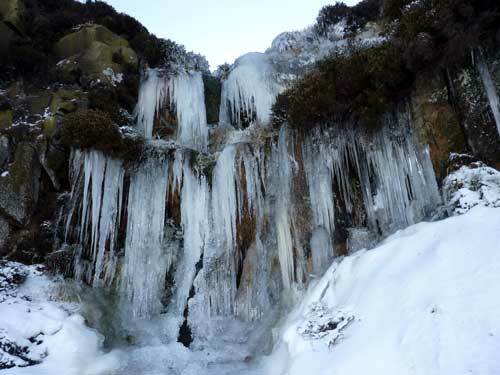 And so it was that an expedition was assembled on the 18th December to probe the icy fastnesses of the North York Moors. We encountered our first steep ice pitch some distance from our goal. Unfortunately we were still on the road at the time, so after some tentative reversing Carmen parked up at the roadside and we set off cross country across a christmas card landscape. A little over an hour later we arrived at the crag. There was clearly quite a lot of potential for short ice routes, but after the recent thaw many of the cascades were pretty but not really robust enough to climb. Still, after a bit more exploring Rob and me found enough short solid routes to keep us entertained ice-bouldering stylee. Meanwhile Carmen and Simon had succeeded in finding and climbing the fabled turf route (Cringle Ridge). This turned out to be nearer 25 metres than 45 but provided some enjoyable climbing, mostly on easy steps with good frozen turf placements. 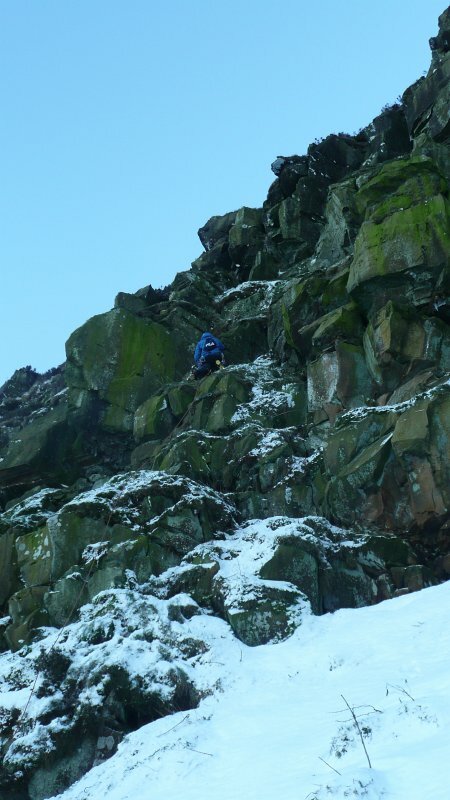 Rob led, I seconded (note to self: do remember not to hold metal gear in your mouth while winter climbing :-$). 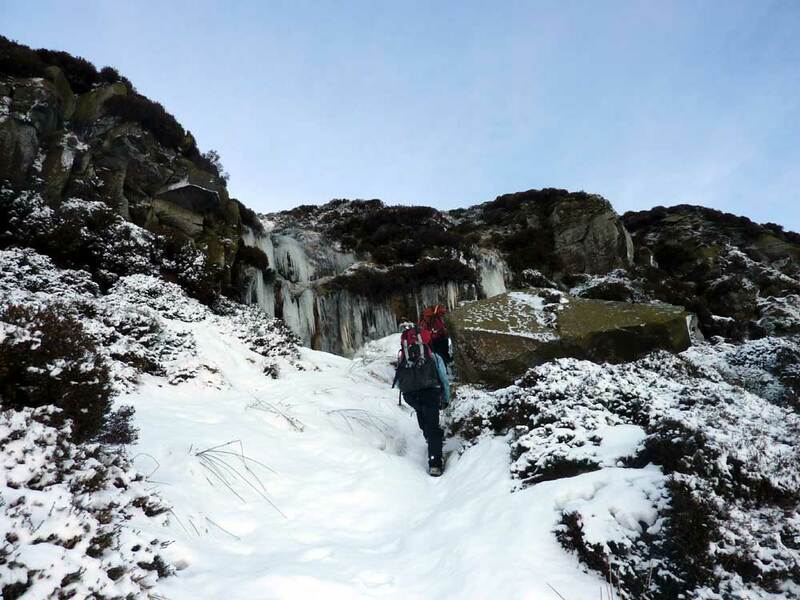 Worth it just for the novelty value of climbing winter routes on the moors! Mission accomplished by both teams we headed back to the car arriving in York with enough time for hot showers before heading back out to the YAC xmas dinner. You are currently browsing the York Alpine Club Blog blog archives for January, 2011.